Police officers tell of fatal pursuit of a young black Londoner. Witnesses recall Rashan “struggling to breathe” while under restraint. Inquest report from Days Four, Five and Six. Witnesses have told a jury at St Pancras Coroner’s court about the final moments in the life of 20 year old black Londoner, Rashan Charles. Police officers tried to explain what prompted their fatal pursuit of Rashan in the early hours of Saturday 22 July last year. Witnesses told how the young man was struggling to breathe and choking as a police officer and another man restrained him. A police lawyer asked repeatedly if what they saw and heard really were signs of choking, which he specified as “coughing” or “gasping for breath”. This report records evidence from Days Four, Five and Six, namely: Friday 8th, Monday 11th and Tuesday 12th June. 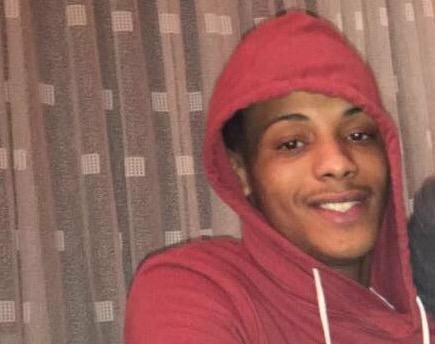 Last week, over the first three days of the inquest, the jury heard that Rashan was chased into a convenience store in Hackney, East London by a police officer who grabbed him from behind, threw him to the ground and restrained him. A man described as a “member of the public” joined in the restraint, helping to handcuff Rashan as he lay, limp and face down on the floor. The police officer and the second man must be referred to in court as BX47 and Witness 1, Coroner Mary Hassell having granted both men anonymity in a ruling last November. Why did BX47 chase Rashan? The court heard that on the day of Rashan’s death a group of highly trained Metropolitan police officers from the Territorial Support Group (TSG) were out on patrol in three carriers in the London borough of Hackney. In evidence — over days two, three and four of the inquest — four of the officers, including BX47, said that their TSG team had been deployed to Hackney to deal with public order, gang crime, knife violence, and any “threat to the local economy”. BX47 was acting sergeant on a vehicle carrying six TSG officers. At around 1.30 to 1.45am, BX47’s vehicle was driving away from Dalston and towards Hoxton, both lively areas, with nightclubs, bars and pubs. Officers in BX47’s carrier noticed a black car at the junction of a slip road off Kingsland Road, a major high street running through Hackney, the court heard. Four of the police officers (including BX47) from the carrier gave evidence. They said the car attracted their interest because it was behaving strangely and changed its indicator lights several times. They ran a vehicle check and discovered it was a hire car, the jury was told. By this time the police carrier had passed the slip road, driving southbound along the Kingsland Road. The police driver, PC Paul Richardson, said in court (on day four, Friday 8 June) that he turned the carrier in the road and drew level with the black car. He said the officers had wanted to check vehicle documents and speak to the occupants. The court heard that as the carrier turned towards the black car, Rashan Charles got out from the back of the vehicle, and the black car drove off at speed. A second officer, granted anonymity and referred to in court as BX48, who gave evidence on Tuesday 5 and Wednesday 6 June, told the court that it was dark, raining and conditions were bad, so they did not pursue the car. She added that the protocol was that police carriers shouldn’t chase vehicles. The officers chose to pursue Rashan on foot. Rashan had run off down a side street underneath a railway arch, the court heard. The carrier drove ahead of Rashan, then BX47 and a second officer left the carrier. BX47 went one way and the second officer another, to cut Rashan off, they said. Rashan then changed direction, ran towards Kingsland Road and then into the convenience store, where BX47 caught up with him. Richardson said that while the officers were chasing Rashan, the carrier lost sight of them and drove around looking for them. Eventually he said they heard BX47 call in on the police radio. On police body worn camera footage shown in court many times, BX47 is seen, several minutes into the restraint, and after Rashan has become limp, making two calls. On the first he says: “More to my location quick, back of the shop.” Then he makes a second call and asks for the London Ambulance Service. The carrier then made its way back to Kingsland Road and to the shop, which was on the other side of the slip road where they’d been earlier, the court heard. PC Baker and officer BX48 were first to leave the carrier, with BX48 first into the shop, where she proceeded to remove Rashan’s handcuffs and attempt CPR. Police Inspector Neil Holyoak, the officer in charge of the three TSG carriers, told the court that he arrived soon after that. During questioning on day four he said that on seeing Rashan inside the shop on the floor receiving CPR he secured the scene and rounded up witnesses. Holyoak told the court that another police officer, PC Stacey Dooly, who had been in the carrier with BX47, told him that she had found a lock-knife nearby. The jury was told that the lock-knife was found across the street and slightly further down the road from the shop. When the coroner asked whether there was anything to link the knife to Rashan, Holyoak said No. Asked if there was anything to link the knife to the black car, Holyoak said No. When did Rashan stop breathing? In CCTV and police body worn camera footage shown in court Rashan is seen walking into the shop followed seconds later by BX47 who grabs him from behind, pulls him to the front of the shop and slams him to the ground. A second man in plain clothes, referred to in court as Witness 1, joins the restraint and helps the officer to handcuff Rashan. Initially Rashan is seen struggling, but when the cuffs go on his body appears limp. Close up footage shows his face drained of colour and his eyes wide. Several other members of the public were present inside the shop and just outside. On day three last week the court heard from Witness 2, who gave evidence through an interpreter and said he remembered very little about what happened. This week, on Monday, day five of the inquest, the court heard evidence from Abdullah Ozpalas, a local taxi driver who went into the shop to buy something. During questioning Ozpalas told the coroner he couldn’t recall whether Rashan was choking or not. In a statement written in the hours after the incident, Ozpalas told police that he saw Witness 1 holding Rashan’s head and trying to keep his mouth open so that he wouldn’t choke. On Monday and Tuesday, days five and six of the inquest, the court heard from three men on a night out at a nearby cocktail bar, who said they saw Rashan run into the shop, followed soon afterwards by BX47. One of them, James Walsh, told the court on Monday that he didn’t hear the officer or Rashan say anything as they entered the shop. In court, Walsh had trouble recalling the details of what he saw between Rashan and BX47. He confirmed the details recorded in his statement made a few hours after the incident. In a handwritten statement taken at the time at a police station a few hours later Walsh said he saw BX47 holding Rashan face down, then “suddenly” he noticed a problem with Rashan’s breathing. The court heard that Walsh had thought Rashan was choking. “The man continued to choke for a couple of minutes,” he said. Neil Saunders, counsel for BX47 and BX48, asked Walsh to clarify his comments about Rashan choking. He suggested to Walsh that there was no “obvious” signs of Rashan choking. Walsh replied that he could see that there was a problem: “I felt in shock and nervous,” he said. Saunders suggested that an obvious sign of choking “may be coughing” or “gasping for breath”. Walsh replied that he couldn’t remember Rashan coughing or gasping for breath. On Tuesday, Walsh’s friends David Martinho and Callum McCrae gave evidence. Martinho told the court that after seeing the initial chase, he saw Rashan and the officer on the floor inside the shop. He said at first Rashan was trying to escape and then he noticed Rashan’s body become still and his eyes wide. “I can’t be precise, it was all very sudden,” he told the court. Martinho said during questioning that he felt that when BX47 realised Rashan was unwell, his behaviour changed. It was no longer about arresting Rashan, Martinho said, it was about trying to help him. The coroner read Martinho part of a statement he wrote in the hours after the incident where he said that he noticed Rashan was struggling to breathe. “Did you think he was choking?” the coroner asked. “Yes, that is probably the right word,” he replied. Callum McCrae was outside the shop waiting for his friend when Rashan and BX47 ran into the shop, the court heard. Standing by the door of the convenience store, McCrae saw BX47 pulling Rashan down a narrow aisle to the front of the shop. He turned away for a moment and when he looked back into the shop Rashan was on the floor with BX47 holding him. “It was still a bit of struggle,” he told the court. He couldn’t tell if Rashan was resisting or “his airway had been blocked, which we found out later”. The coroner asked him to explain. “He went quite still,” McCrae replied. “I could tell something was not quite right.” The court heard that McCrae moved into the shop closer to Rashan. At that point he didn’t know there was something in Rashan’s mouth, he thought Rashan was having a fit, choking or having a seizure. The jury was told in previous accounts by Witness 1 and BX47 that Rashan had been “clenching his teeth” and “biting”. The court heard police body worn camera footage of BX47 shouting, “Spit it out” and “open your mouth”. The coroner asked McCrae if he thought Rashan was biting or closing his mouth deliberately. McCrae replied that he didn’t know something was in Rashan’s mouth, so at the time he didn’t think it was deliberate. “My concern was that he went from being arrested to clearly struggling and needing help,” he said. It was the look on his face. The coroner said there was a difference in what McCrae said in his statement immediately after the event in July and in court. In his statement he mentions seeing Rashan was moving, struggling to breathe. In court McCrae said he became concerned when Rashan stopped moving. McCrae replied that he noticed a difference in Rashan struggling to escape and then struggling to breathe. The coroner asked how he could tell Rashan was having difficulty breathing. “It was the look on his face,” McCrae replied. Edited by Clare Sambrook for Shine A Light.